The last post got way too long. I was about to do this myself so thanks for saving me the work. episodes 3 and 4 were released today and apparently they had Enhanced Four Arms and Enhanced Cannonbolt... Man i wanna see these episodes. 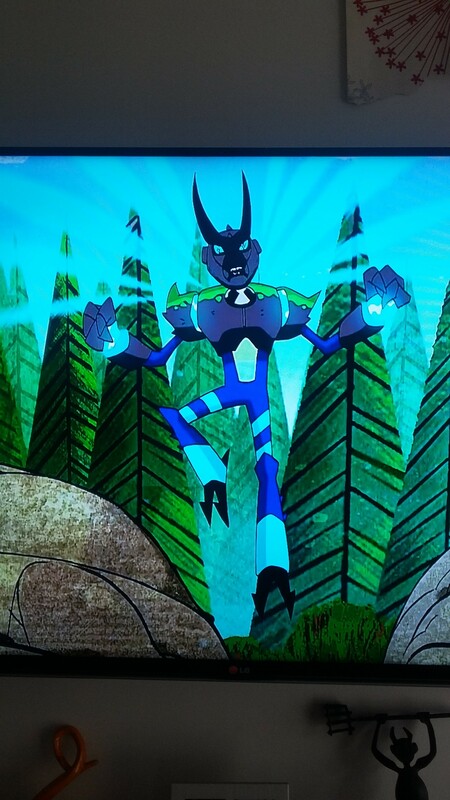 It seems that we've been getting one omni enhanced alien per episode...and no repeats yet. Maybe when we hit episode 11, we just might see the 11th alien. 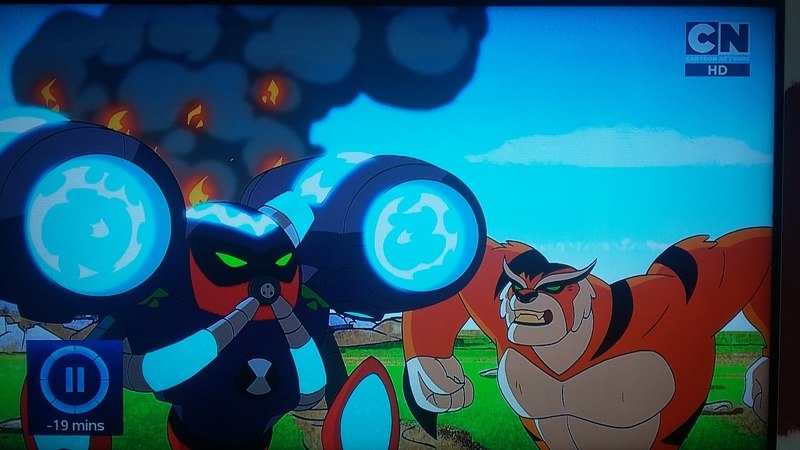 Like the new episode from Ben 10 Reboot season 2. Ben feeling seasick and he fighting Steam Smythe. Max showed Gwen a classic photo of him dressed as a sailor when he was a kid and also was a twin of Smythe. Can't wait to see more new episodes of Ben 10 Reboot this week. APPOPLEXIAN!!! WE COULD BE SEEING RATH!!! HECK YEAH, I'D LOVE TO SEE A YOUNGER IMMATURE EVEN MORE HOTHEADED RATH! Also, i'm not a fan of the enhanced stinkfly. @nikita-kleutin upon watching the clip, i've realized a few things. A. This is from the episode Animomorphosis. B. Animo is apparently morphing into different Aliens, Rath included. C. It is now much more plausible that we could see aliens return from shows like omniverse and alien force. @Tactical-Ochoa what's your opinion on the potential reappearance of Rath? @andrew42 Rath is a really funny alien in the show but when it comes to practicality, he's pretty much useless. Rath is just a basic brawler to me and pretty much almost every other alien that Ben has are much better options for Ben to use in combat. Rath being funny is pretty much the only thing that makes him stand out from other aliens. Therefore, if Rath is going to return in the show, I'm not looking forward to it. He's a redundant alien and there are other aliens in the franchise that they could've brought back that are much better options than Rath.